San Francisco (Obama.net)- The issue of peace in the Middle East has been going on for decades since the inception of Israel as an official state in the world in 1948. Since that date, Palestine has been fighting for land to call its own and to become a physical country of its own in the region. After years of wars and battles and failed peace talks, President Barack Obama is trying his hand at settling the issue between the two religious states. 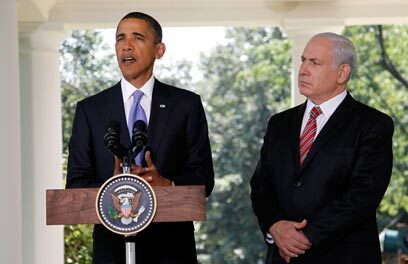 On Wednesday, President Obama welcomed both Benjamin Netanyahu, the Prime Minister of Israel, and Mahmoud Abbas, the Palestinian Authority President to the White House to begin the peace talks that Obama invited the two to during the summer in separate visits. The initial meeting was in the form of a peaceful dinner. Obama, Netanyahu, Abbas, and others such as King Abdullah II of Jordan, President Hosni Mubarak of Egypt, and other officials like Hillary Clinton and Tony Blair. In terms of foreign affairs, the issue of peace in the Middle East is on top of Obama’s priority list as the closure of the Iraq War has already been started. Obama spoke positively of the talks between the leaders. However, Obama made it clear that he is in fact aware of the problems that exist between the two nations and that there are very good reasons as to why after all these decades, there is still no peace.